The popular ‘golden oldies’ show, Hits & Laughter present a matinee performance of ‘60s and ‘70s music at The Apex on Sunday 10 February at 1.30pm. Headlining the event will be The Equals, with the remaining original member Pat Lloyd. Formed in 1965, The Equals featured a young Eddy Grant on lead vocals. One of the very first inter-racial bands in Britain, they began gigging around London, amazing audiences with their energetic and distinct style, fusing pop, blues and R&B with elements of ska and bluebeat. Their most famous track, ‘Baby, Come Back’ soared to No.1 for six weeks in 1968 and earned the band a gold disc for one million sales. A string of single releases followed, including two further top ten hits, ‘Viva Bobby Joe’ (1969) and the funky ‘Black Skin Blue Eyed Boys’ (1970). Although the majority of their songs were based on traditional teenage pop themes, some, such as ‘Stand Up and Be Counted’, ‘Black Skin Blue Eyed Boys’ and ‘Police on My Back’ (later covered by The Clash) touched on social and political issues. Following a horrific car accident, Eddy Grant left the band, although he continued to write and produce for them. He later had a solo career with hits such as ‘Electric Avenue’ and ‘I Don’t Wanna Dance’. The Equals continued without Eddy and gradually incorporated more funk and reggae into their sound. Although gigging continually worldwide, The Equals had not performed in the UK for 30 years, but are now touring to celebrate the 50th Anniversary of ‘Baby Come Back’. The current line-up consists of original and founder member Pat Lloyd, Dave (Dzal) Martin (guitarist with The Equals for 40 years), Ronnie Telemacque (drummer with the band for over 40 years), Nathan Watson and Mark Haley from The Kinks and Rubettes. Also on the line up is The Original 70s Paper Lace, featuring founder members Phil Wright and Cliff Fish, who will play hits including 'Billy Don’t Be a Hero' and 'The Night Chicago Died'. Opening up will be Edison Lighthouse, who were best known for their 1970 hit single 'Love Grows (Where My Rosemary Goes)'. The original line-up has changed but Brian Huggins has been fronting the band since 1973. Hits and Laughter is at The Apex on Sunday 10 February at 1.30pm. 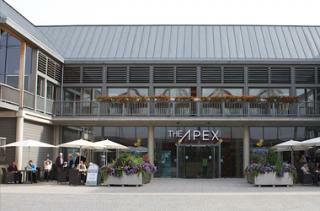 Tickets are £27.50, ring the box office on 01284 758000 or see the website - www.theapex.co.uk for details.